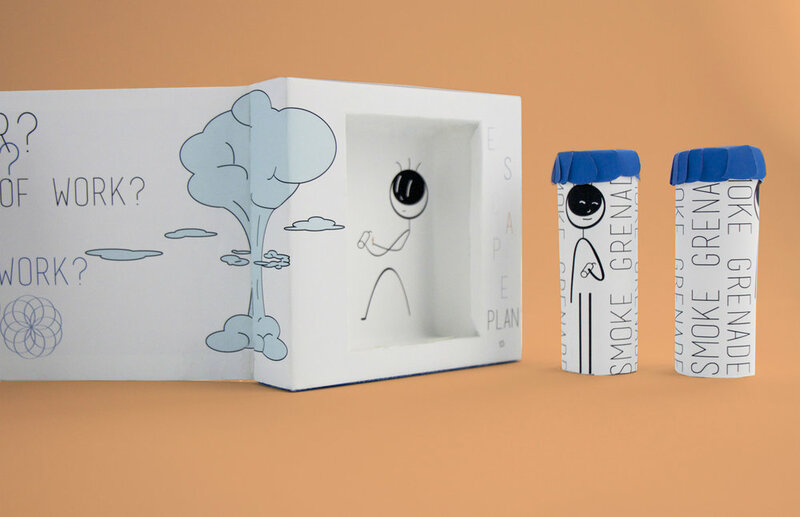 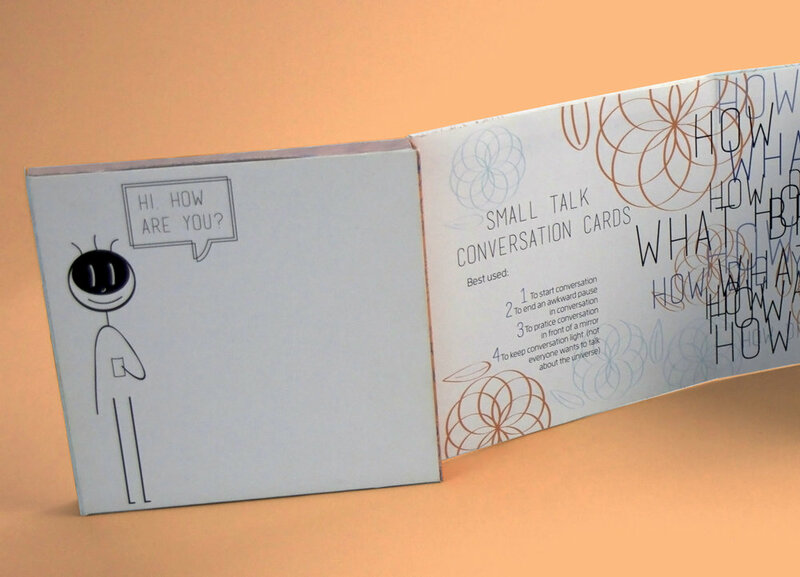 “Just smile and nod” is a kit designed for the introvert trying to get through a social situation. 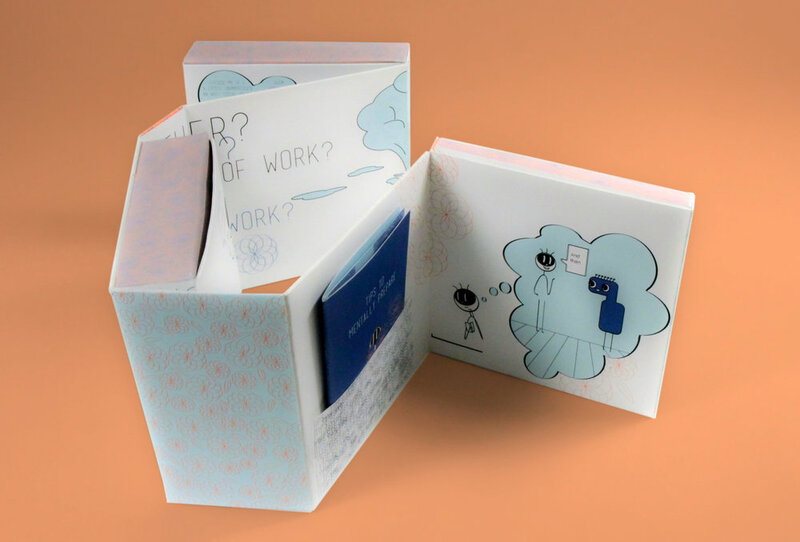 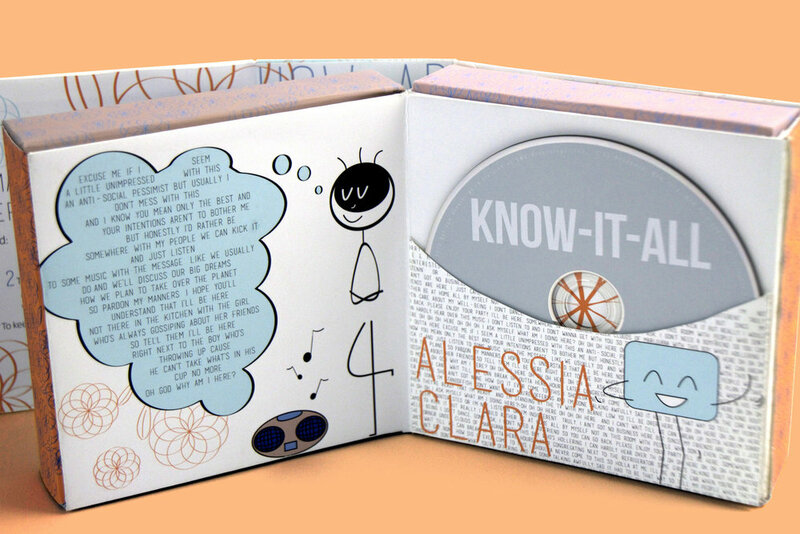 Both the physical package design and the graphic design emulate the experiences of an introvert. 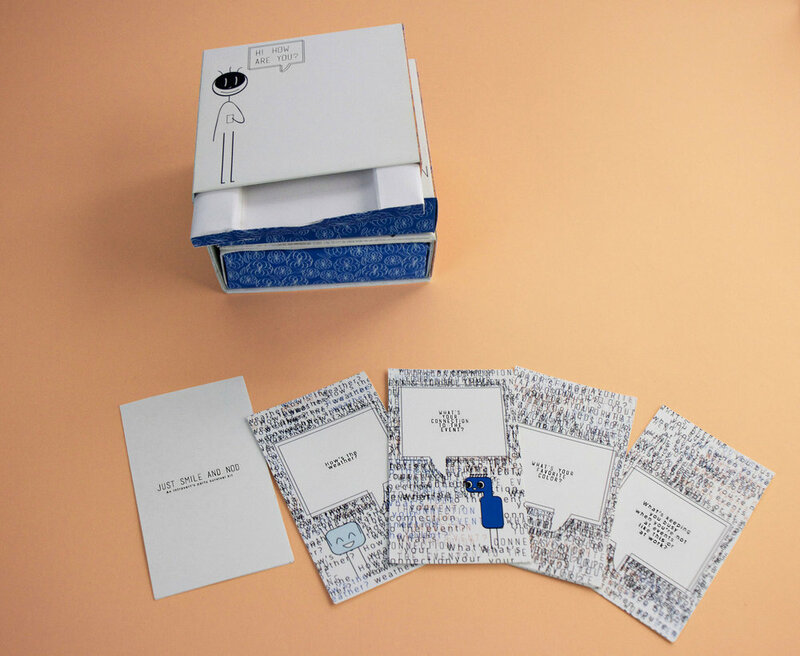 The package is small and tight, measuring 5”x5”x5”. 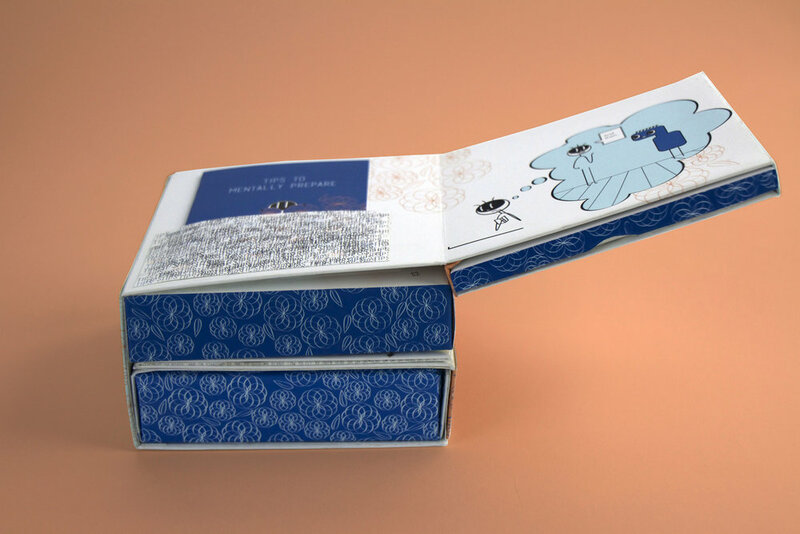 However, once opened by removing the belly band, the user can see that there is much more to this quiet package through the manner in which it unfolds.